The New Pyranha Kayaks 9R just how good is it? Very good indeed actually. 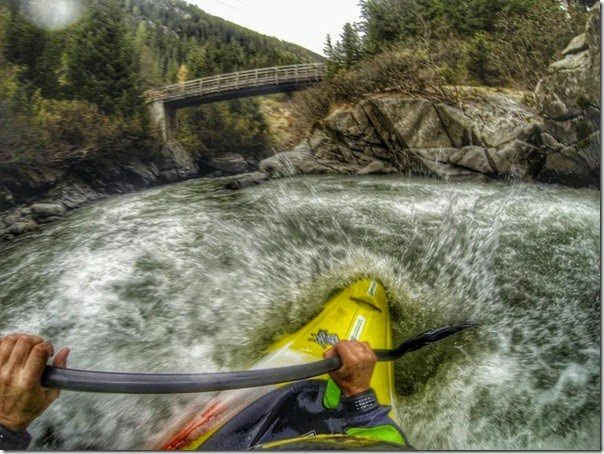 Our very own watersports manager and sometimes sponsored athlete, Adrian Durrant, had a go of Pyranha’s latest and greatest whitewater boat and here’s what he had to say about it. 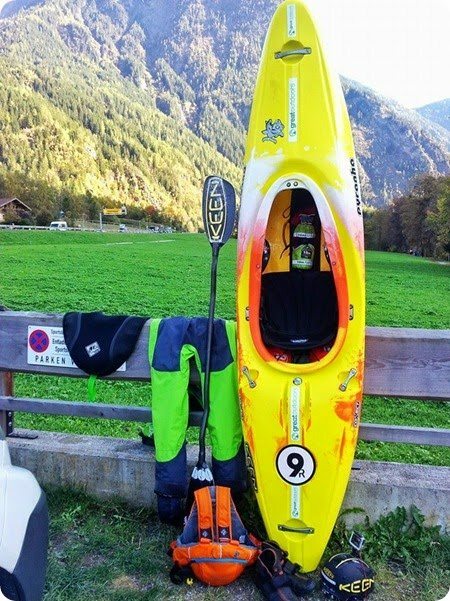 “I was lucky enough to get my hands on one of the first Pyranha 9R’s coming out of the factory with the plan set for 5 weeks of travelling and paddling it was a great opportunity to test the new machine. “With all of the Pyranha boats using the new C4S outfitting is a dream come true, having been out of action the past 3 months with a shoulder injury I’ve had a lot of time to look at outfitting and seat positions in relation to comfort and optimal position. I really believe the seat in a boat like the insole of a shoe. It is what provides the support and balance for which everything connects. If you have a good seat the backrest and hip pads are just a luxury. So once unwrapped I took to the outfitting, lifting the seat both front and back pitching it ever so slightly down at the front. I feel that this keeps you sitting upright and by holding good torso tension really allows you to get the power down. At 190cm and 86kg the thoughts of a 72.4 gallon boat just sounded small but with ample footpace and a really nice knee position this boat felt comfy from the off. The boat came as a display and flat water demo for the 2014 Junior Paddlefest (flat water because there was no water in the river) with a lot of hype and attention, the rocker profile had just about everyone astounded wondering if you’d ever touch the water. Weighing in at just under 20kg makes this boat a dream to carry and lift with some big boats around all carrying big weights this made a healthy change. From the off, she was fast… Like really fast…. Really really fast! The light weight boat meant you could accelerate quickly and once at cruising speed extend the stroke and she will glide on all day long. As you accelerate you feel the boat lift keeping the nose high and dry, shedding water and crushing over just about anything. In and out of eddies she was fast and manoeuvrable, turning on a sixpence and charging out, the new rail was predictable and true. The narrow width meant you could really pitch the boat into turns to snap it around. Something the Shiva just wouldn’t quite do, the ability to switch edges on landings meant you could carve away from drops and flares without as much as a paddle stroke, just speed and edge. Whilst pushing the boat on the Vent and middle Oetz and you start to get an idea just how good this boat is, On first look this boat is designed primarily for racing but in a river environment the 9R is fantastic, responsive and fun, surfing waves and carving around the river, the lifted bow stays high without pearling, boofs are stable and predictable and the landings are soft. “Having leant my boat out to a few guys to demo the feeling seems to be mutual, its such a fast responsive boat that just wants to be pushed, by easily adjusting the seat position you can slip forwards or back to engage the rails and hold her online. I did wonder if I’d see her again with all the love of the boat i felt like a mean old man taking the toy away from the kids. So the question on everyone’s lips ‘your boat works in Austria now lets see it on your local low volume runs! Will it work?’ So on return to the Emerald Isle I was straight to Cranafest taking place in Buncrana, Co. Donegal for a dam release race down the claw a class 4 drop. Still not ready to race I set about lapping the course to see how the boat worked now it had to touch rocks. Again the boat handled superbly hitting the flare in the centre and engaging just enough rail to pull right, by getting in an extra stroke on the lip let the bow continue to lift as you pulled the last stroke the bow cleared the thundering foam below and sailed away towards the finish line. With the lads watching in astonishment they thought I had just got lucky but after them test driving her for themselves they were hooked! 2 near on perfect lines took 1st and 3rd place out of 122 people taking part in the night time floodlit time trial. The 9R was really proving her worth then taking a third place in the silver expert men’s boater x and a 2nd place in the expert women’s boater x, the 9r was on fire, only just managing to get it back into my van next up was the Dublin local run the Avonmore. Many paddlers first taste of whitewater, a class 2/3river with plenty of S moves rock spins and the mighty Jacksons to finish. The 9R was still so much fun making every move with ease even the extra length never once inhibited her on a shallow Irish river. spinning like a demon. As we hit Jackson’s I was but a passenger, the nose stayed high as I came through the curler and skipped down the ledge as if it wasn’t there. The drop took but a few seconds the smile on my face endless! The 9R had passed the Irish test. If your looking for a fun, lightweight, responsive, predictable, comfortable, elegant, fast, and fecking deadly boat you need a 9R! I’m loving the extra speed offered by the boat as well as the rocker makes the river a drier place, This is certainly going to be my boat of choice. 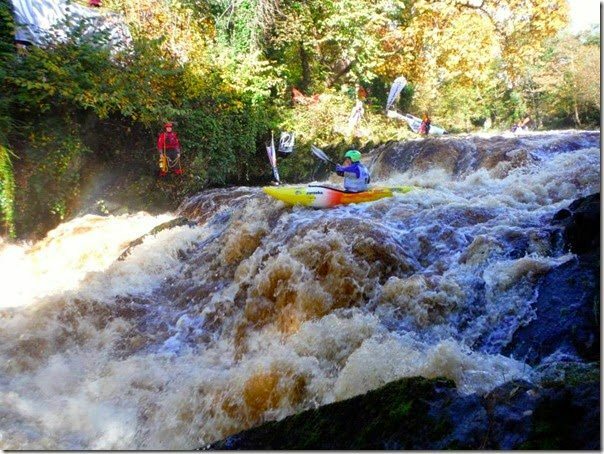 Over the winter I’m keen to try and push it to its limits with some big plans already in motion and plenty of steep technical Irish rivers to run the 9R will look after me, and once the races kick off again I’m certainly going to struggle with my boat in hot demand by some talented paddlers its going to get a lot of use.